Here's another painting that I started without any idea of which direction it would take me. After painting the background and then turning it upside down I could see a possible picture emerging. 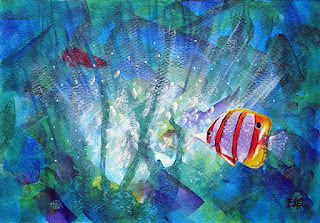 I've never painted an underwater picture before but the shapes and colours just seemed to call for this scene. 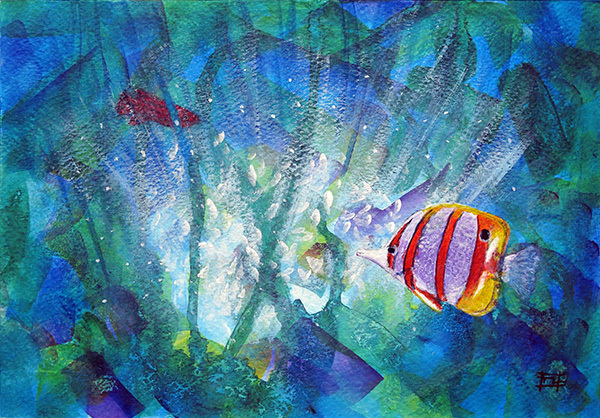 The light breaking through from underneath seems to add an air of mystery to the painting. I'm pleased how it turned out.